Gillian trained as a Medievalist and has taught History in schools, universities and museums for over 25 years. She is fascinated by the complex relationships between family and local history and national events and passionate about communicating the past. She has worked with museums collections, archives and oral history collections. 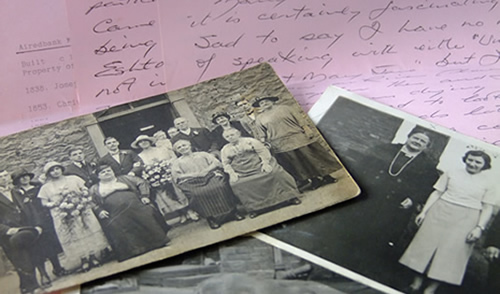 Whether you are a local group wishing to explore your local heritage, a teacher creating a Local History programme of study, or a museum, archive, gallery or heritage site wishing to develop materials rooted in local contexts we can help. We can create frameworks for research or teaching, research relevant source materials, create resources or design and deliver local history courses. For any enquiries please contact me using my email below. On 9 September 1452 Laurence Catterall of Little Mitton was attending a church service in St. Andrews, Gargrave, when he was suddenly seized, roughly dragged out of church and imprisoned by Sir Richard Percy. Laurence Catterall was Neville retainer and supported the Yorkists, the Percies were Lancastrians; on opposing sides in the bloody thirty year civil war that became known as the Wars of the Roses. Gillian Waters will explore the local tensions between Percy and Neville supporters that led to the outbreak of war in 1455 and the impact of those wars on the two manors of Gargrave. Richard III- Yorkshire Hero or Shakespearian villain? An investigation of the career and reputation of our last Yorkist king. Was Richard III really a villainous hunchback, or is he a victim of Shakespearian exaggeration? Did Richard III really kill his nephews in cold blood to gain the throne, or was this simply Tudor propaganda? Was he a good Lord and if so why did York alone mourn his passing at the Battle of Bosworth? This talk examines the career and reputation of Richard III and how his short reign has been interpreted.